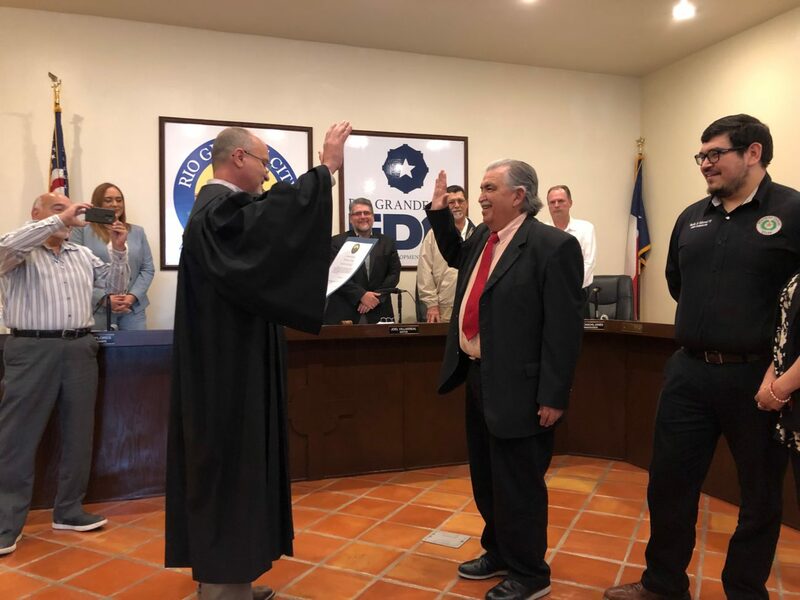 RIO GRANDE CITY — The Rio Grande City commissioners found their new municipal judge in Basilio “Bacho” Villarreal, a school board member with the Rio Grande City school district, replacing former Judge Leonel Lopez Jr. who resigned last month upon his guilty plea to federal bribery charges. The city commissioners unanimously voted to appoint Villarreal, 62, during Wednesday’s regular meeting, granting him a two-year contract with a pay of $4,333.33 per month, the same amount and contract length that were given to Lopez, according to Mayor Joel Villarreal. “He’s a pillar of our community,” the mayor said of the decision to appoint Villarreal as judge, noting he has more than 20 years of public service in the city. Before being elected to the school board in November 2018, Villarreal, served on the school board for about 18 years until 2014 when he declined to run for re-election. Lopez also served on the school board from about 2010 until 2014 when he also chose not to run for re-election. Lopez, 52, was serving out his two-year contract as the municipal judge when he pleaded guilty on March 22 to federal program bribery in connection with a scheme to pay off two Weslaco city commissioners. In exchange, the commissioners are alleged to have voted in favor of awarding contracts to companies for work on the overhaul of the city’s water treatment facilities. His guilty plea prompted his automatic resignation from the municipal court, as per his contract with the city. “It is imperative that we move forward and put this behind us,” he added. He later said he was proud to join the RGC family given that both his father and brother served as mayors, his father being the first mayor of Rio Grande City. Among his goals in his new position, Villarreal said, is to make the job as transparent as possible which includes making documents accessible to the general public.